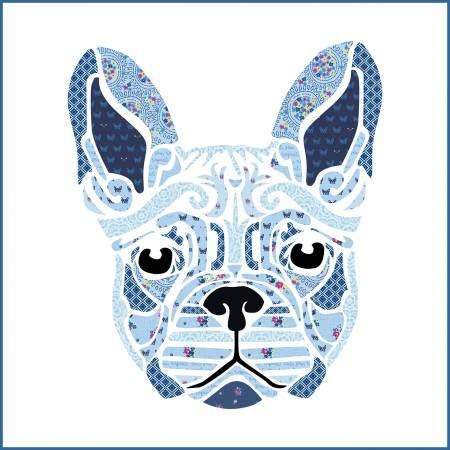 The Fleur the Frenchie applique is designed by Madi Hastings using the Blue Carolina fabric range by The Tattooed Quilter. This kit includes Laser cut applique pieces making this project a fast finish and perfect for beginners and experience quilting artists alike. 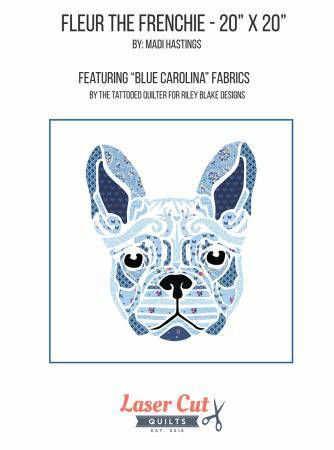 The Blue Carolina fabric pieces are pre-fused and laser cut ready for you to applique. 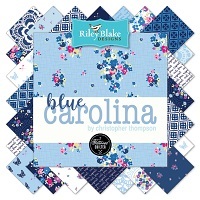 The kit also includes a pattern with full-size layout guide to assist with the placement of the pieces for the design. This kit does NOT include background, binding, or backing fabric. Size: Finished size of applique: approx 20in x 20in.